The Chrysler Aspen is a large sport-utility vehicle, with rear- and all-wheel drive variants and three rows of seating. While it borrowed its name from the Dodge Aspen sedan of 1976-1980, it nothing to do with that model. 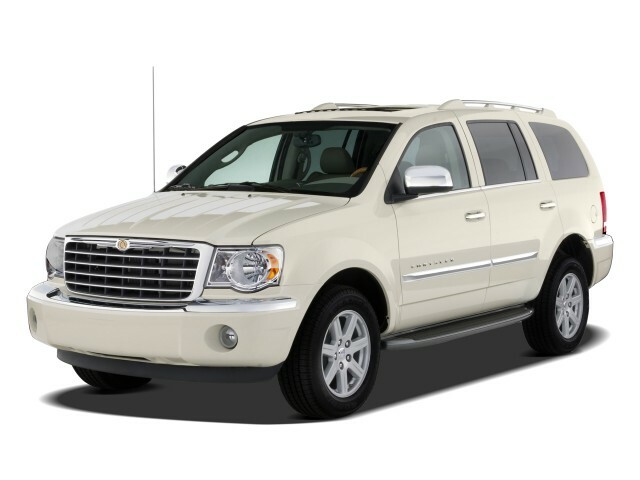 The Chrysler Aspen was offered from the 2007 through 2009 model years, and was based on the second-generation Dodge Durango that had originally been introduced in 2004. Although not quite as large as the Chevrolet Tahoe, GMC Yukon, Cadillac Escalade, Ford Expedition, or Lincoln Navigator, the Aspen felt comparable from the driver's seat—and while it rode well it was not at all a maneuverable or responsive-handling vehicle. Most Aspen models you'll find on the used-car lot come powered by either a 303-horsepower, 4.7-liter V-8, or a 345-hp, 5.7-liter 'Hemi' V-8. Between the two, we'd certainly go for the 5.7-liter, because it offers much-improved performance without being any thirstier—because it includes Chrysler's Multi-Displacement System (MDS), a form of cylinder deactivation that lets the engine run on four cylinders when coasting or cruising at lower speeds. Provided you're only using the first two rows of seating, the Aspen has a very pleasant interior, with comfortable seating and plenty of space. 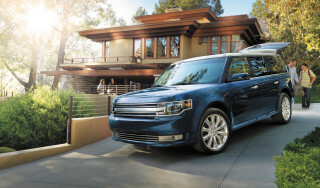 The third row is very tight, even for kids, and you'd probably be better off keeping it folded (to 68.4 cubic feet of cargo space) or looking for a minivan or more passenger-oriented crossover with a larger third row. 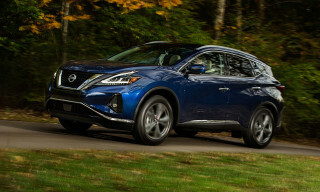 Options included heated first- and second-row seats, a power rear liftgate, the Uconnect GPS system and MyGig music storage with 30-gigabyte hard-drive storage. You could also get a rear-seat video entertainment system. The Chrysler Aspen Hybrid was sold for the 2009 model year—in very small numbers—as an alternative to the Chevrolet Tahoe Hybrid and GMC Yukon Hybrid. 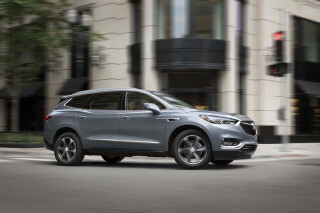 In the Aspen, power was provided by a 5.7-liter Hemi V-8, also with MDS technology, as part of a version of the same 'Two-Mode' hybrid system that was featured in the GM SUVs and co-developed between those companies and others. The Hybrid system makes 385 horsepower altogether and promised strong acceleration to go along with its strong performance. 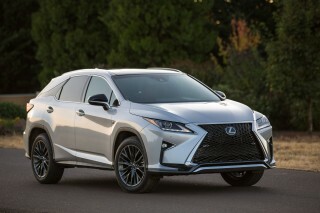 It also boosted EPA fuel economy to 19 mpg city, 20 highway, and towing was up to 6,000 pounds. However we found drivability to be quite unpleasant with this model and we have trouble recommending it. 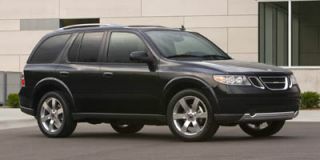 While the Aspen's sibling model, the Dodge Durango, was replaced by an all-new Mercedes-Benz-derived architecture beginning in 2011 (and shared with the new Jeep Grand Cherokee), the Chrysler Aspen did not return.